I've taught Little Junes how to play chess, and he asked me why I always open the game with the King's Knight opening. 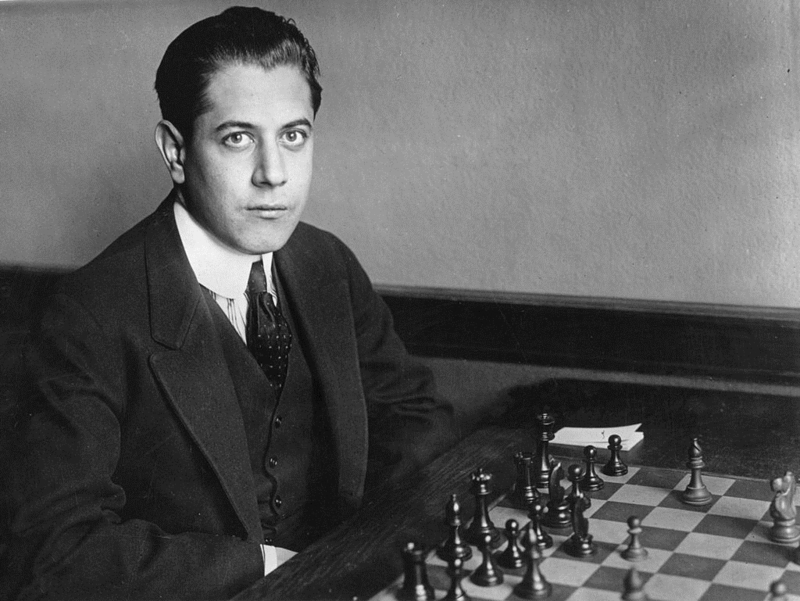 It reminded me of José Raúl Capablanca y Graupera (19 November 1888 – 8 March 1942). Capa was a Cuban chess player who was world chess champion from 1921 to 1927. Nearly everyone who is a chess geek considers Capa as one of the greatest players of all time and it was he, not Bobby Fisher (who is one of Capa's greatest fans), who became the first person born outside of Europe to become world chess champion. Chess geeks are always studying the masters' games and Capa is recognized as one of the best - he only lost 35 first class games in his entire career.